The Warriors’ two years of dominance has been accompanied by a chorus of former NBA players downplaying their accomplishments, and by extension the rest of the modern NBA. The Warriors are a jump shooting team; they’re only good because the rules have changed; the current era is weaker than the 1990s; the 1995-96 Bulls would’ve smoked the Warriors. These embarrassing and defensive reactions are so prevalent that even the co-star of a recent Draymond Green commercial and Oakland-native Gary Payton got in on it. 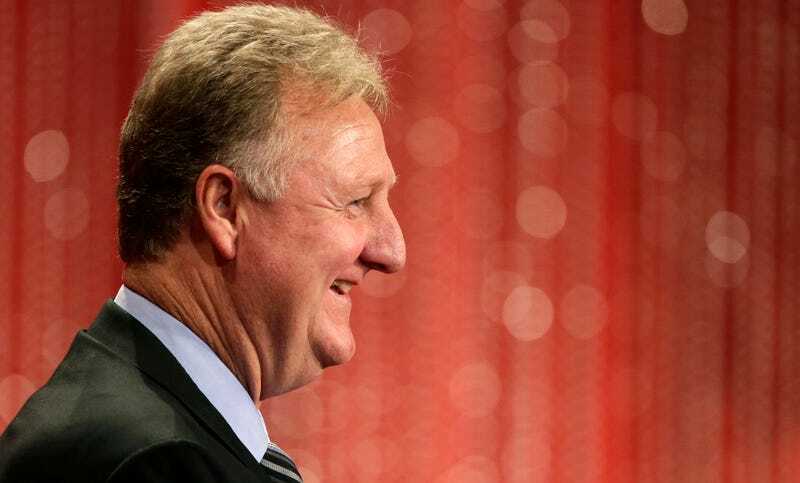 One of the ways in which Bird is different from everybody linked above is that he’s actually still in the game, as the president of the Indiana Pacers. He wouldn’t be successful at his job if he buried his head in the sand and screamed about the good ol’ days. He has to understand the modern NBA to improve the Pacers, and that has apparently given him a greater appreciation of the current crop of players than many of his peers.